The City of Vancouver, through its Property Endowment Fund, owns 80% of the land in False Creek South. The rest is owned by other levels of government, the Squamish First Nation, or private owners. When the neighbourhood was built in the 1970s and 1980s, much of the City-owned land was leased to tenants via 60-year ground leases. Most of these leases expire between 2036 and 2046. An additional 1,354 homes are on land owned by private owners or other levels of government. We started assessing the condition of all buildings on City-owned land in False Creek South. The assessments help us as we work with False Creek South residents and the community to develop the future vision for False Creek South. A clear understanding of current building conditions is important for the upcoming work on planning, affordable options to stay in the neighbourhood, and issues related to expiring leases. Ameresco, an independent contractor, is assessing the buildings and providing us with a report. Building managers or operators received information on the building condition assessments program. Ameresco arranged a time to assess each building. For questions, contact your building manager or operator, or our project team below. 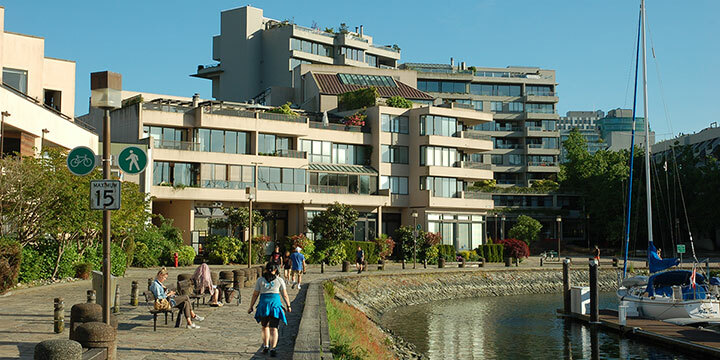 We continued to work with the provincial government and consulted with False Creek South strata leaseholders to clarify how the fair market value of their interest in the strata lot would be calculated when the leases expire. We reported back to Council in fall 2016 with a timeline for negotiating the False Creek South co-op lease renewals, and how they fit in with the strategy for co-op leases on City-owned land across Vancouver. Finally, we continued to evaluate the costs, benefits, and implications of various renewal, extension, and redevelopment options.